Just checked the largest Mag here at Jackson Park, lots of bronzing on most leaves, more than the smaller specimen at the University of Windsor has. I really hope it doesn't completely defoliate again like last year! At least today is the last really cold day in a the forecast, with highs in the 50s next week! We will find out how much defoliation occurs when the ground thaws all the way out, either that, or they will hang on to their browned out foliage until they flush off the brown/dead leaves as they begin to put new leaves on. Quite a lot of bronzing of leaves on the two specimens here in Indianapolis as well, I would say at least half the total foliage has some bronzing on it, am as anxious as you are as to whether they will lose all of their leaves again this year! Hanging in there until mid to late May for that is when new growth began last year. 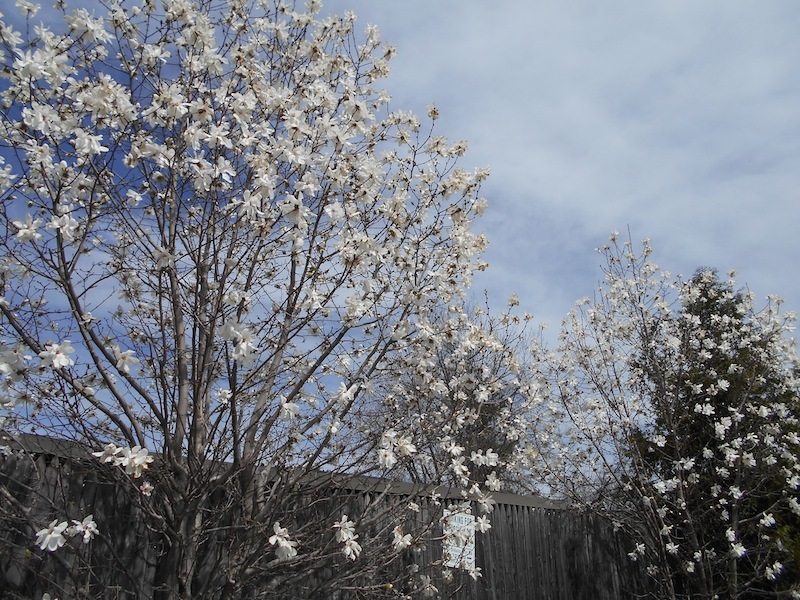 DougStark, Photinias are only Hardy to Zones 7 or warmer; Chicago is just barely over the line into Zone 6 and is surrounded by a sea of Zone 5. Of course Photinias wouldn't stand a chance of surviving an average Chicago style winter. Ditto for Indianapolis, Indianapolis is just past the Southern Most Boundaries of Zone 5 and is a Borderline Zone 6, just like Chicago is. I just checked on the two local Mags I know of here in Windsor yesterday, and both are totall brown now unfortunately. Let's hope they are fine and will push out some new leaves and grow strong again. No more bull---- arctic like winters! The two magnolias i have kept track of since 2011 appear to be in about the same condition as they were back in late February or early March of this year with about 50 to 65 perecent of their leaves browned out and burnt, and the remaining leaves are still dark green and healthy looking, so not looking too much better than the southern magnolias up there in Windsor, Ontario, but like i posted above its too early in the season to know how much injury has been sustained and IIRC the southern magnolias in indianapolis didnt begin to defoliate until early April of last year, so i suspect the same thing may happen again this year although they might keep their burnt and unsightly look until they are ready to put new leaves on. I think the southern magnolias up in Windsor, Ontario will be fine, as will the two southern magnolias in front of and near the eatery here in indianapolis. The two magnolias i have kept track of since 2011 appear to be in about the same condition as they were back in late February or early March of this year with about 50 to 65 perecent of their leaves browned out and burnt, and the remaining leaves are still dark green and healthy looking, so not looking tindianapolis o much better than the southern magnoliasMagnoliare in Windsor, Ontario, but like i posted above its too early in the season to know how much injury has been sustained and IIRC the southern magnolias in indianapolis didnt begin to defoliate until early April of last year, so i suspect the same thing may happen again this year although they might keep their burnt and unsightly look until they are ready to put new leaves on. I think the southern magnolias up in Windsor, Ontario will be fine, as will the two southern magnolias in front of and near the eatery here in indianapolis. 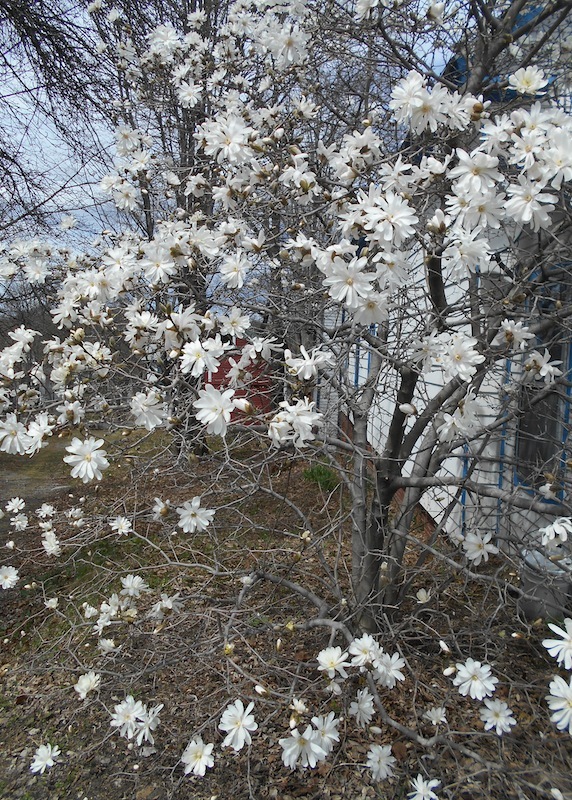 As of today April 21st, the two Southern Magnolias near the restaurant appear to not be acting deciduous and almost completely defoliating like they had by this time in 2014; both saplings have have retained most of their leaves,even the browned out foliage is still there, and owing to a relatively warm first three weeks of April in indianapolis, i noticed that the buds on the Southern Magnolias are just starting to swell a little bit, in other words it appears a distinctive possibility that these trees may well end up with a fuller canopy of those glossy evergreen leaves by this fall, especially if the weather patterns here are favorable for lots of new growth. This will be my final post until early June, all posters feel free to post how the Southern magnolias fared over the winter season if you feel the urge and would like to share information on this thread please do keep the op of this thread informed. That's great to hear about the swelling buds on those Mags. I haven't checked the two Mags that I keep track of here, for buds, but I will soon. I'm really hoping they both will recover again, like last year. I'm hoping these last two brutal winters don't deter anyone locally who may be inclined to try a Southern Mag on their property, from planting one. I want to see more of these planted locally. Checked out the Magnolia at the University and it has a swelling buds Just happy it survived this past winter after taking a beating last winter! 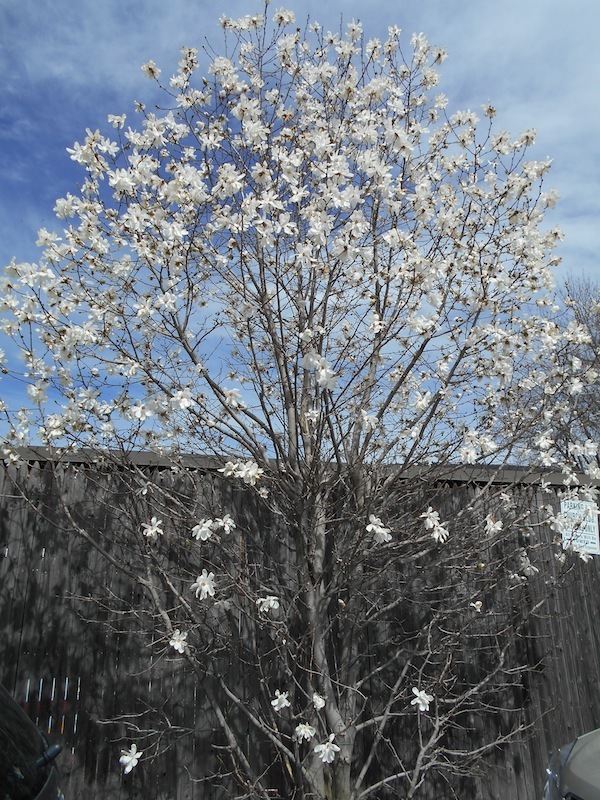 Star Magnolia that I'd taken photo of & posted (last July) a few pages back in this thread. Photos taken April 29 2015 Brattleboro VT.
Second & third photos are of a couple more I discovered near parking lot downtown. Any evergreen Southern mags up there? Star and Saucer mags are a dime a dozen here.